Kaman Aerospace has begun production flight-testing of the first of 10 refurbished SH-2G(I) Super Seasprites that were previously delivered to Australia, but have now been bought by the Royal New Zealand Navy. The milestone opens another chapter in the story of a design that made its first flight (as the HU2K-1) on July 2, 1959, and which became a stalwart of the U.S. Navy’s shipborne helicopter fleet until retired in 2001. 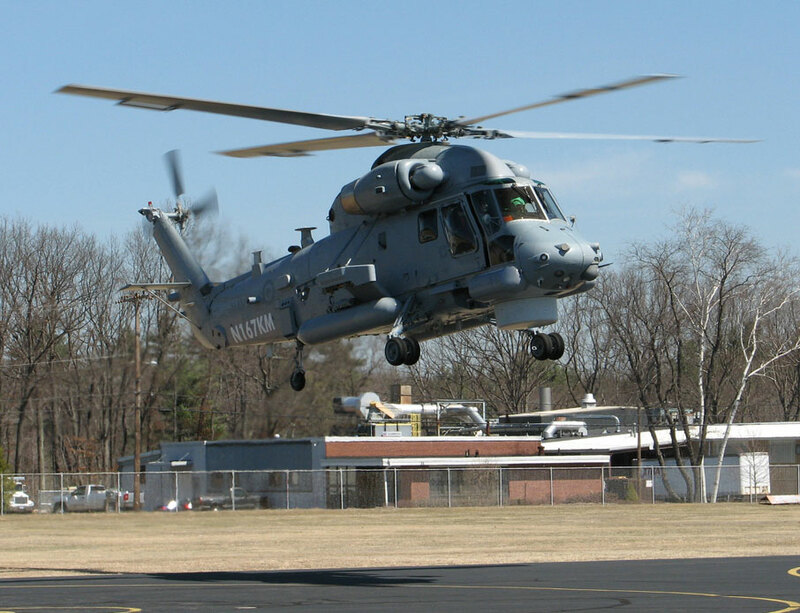 After production flight-tests are completed the first Super Seasprite will remain at Kaman's facility at Bloomfield, Conn., for some time to be used for training RNZN aircrew and maintenance personnel. All 10 helicopters are scheduled to be delivered by the middle of next year. They will serve with No. 6 Squadron at Whenuapai, near Auckland, where they will supplant five SH-2G(I)s that were delivered in 2001/03. Only eight of the 10 new aircraft are to be operational, with the others forming a reserve and spares source. It is understood that the new aircraft will be armed with the Kongsberg Penguin anti-ship missile, in place of the AGM-65 Maverick currently in use. When the new Super Seasprites are delivered to New Zealand the airframes will be operating with their third user. In the late 1990s, as the U.S. Navy Seasprite fleet drew down, the type was released for export. The older SH-2F airframes became available for rebuild to the SH-2G Super Seasprite configuration, which introduced two General Electric T700 turboshafts and a range of systems improvements. A number of nations capitalized on this opportunity, including Egypt (10) and Poland (four). New Zealand signed up in 1997 for five new-build SH-2G(I)s as a replacement for its Westland Wasps. While waiting for the Super Seasprites to be delivered, the RNZN operated two ex-U.S. Navy SH-2Fs as interim equipment and as a lead-in to the arrival of the SH-2G. They were well received, and have been used intensively, including in operations in East Timor. Meanwhile, Australia also ordered 11 SH-2G(A)s in 1997 to serve aboard ANZAC-class frigates, and received 10 of them. They were upgraded from SH-2F standard with advanced Australia-specific avionics that allowed two-person crew and “hands-off” tactical operations. However, there were numerous technical problems with integrating the helicopter’s avionics, plus other difficulties, and the fleet never became operational. The Super Seasprites were grounded in 2006 and the program was abandoned in early 2008, with the airframes returning to Kaman. It is these aircraft, plus a simulator, that have been overhauled and modified to RNZN SH-2G(I) specifications. They are expected to serve aboard the RNZN’s five helicopter-carrying vessels (two ANZAC frigates, two offshore patrol vessels and a multi-role ship) until at least 2030.